The principles of sustainable development play an integral role in making development assistance work at the level of policies, plans and programmes. 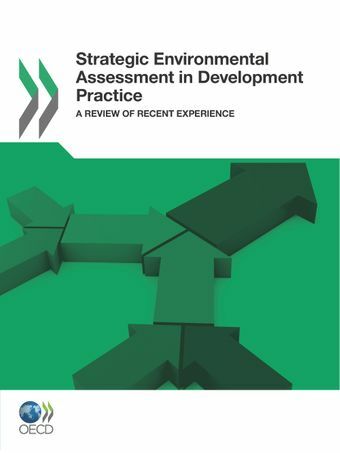 In response to the Paris Declaration call to “… develop and apply common approaches for ‘Strategic Environmental Assessment’ at sector and national levels” among donors and partners, the Guidance on Applying Strategic Environmental Assessment was endorsed in 2006 by members of the OECD Development Assistance Committee, representatives of developing countries receiving aid, the United Nations Development Programme, the United Nations Environment Programme, the World Bank and many other agencies. Since then, a growing number of countries at all levels of development have legislation or regulations prescribing the application of Strategic Environmental Assessment (SEA)  and many more are introducing it as part of their policy tools. This is creating unique opportunities for better policy making and planning by incorporating environmental considerations into high-level decision-making and opening new mechanisms to build consensus on development priorities within governments themselves and between governments and societies.Many development co-operation agencies and their partners are already making good progress in applying SEA. This publication presents the nine most interesting case studies of SEA in progress, selected from a total 100. These nine cases highlight that SEA can:• Safeguard environmental assets for sustainable poverty reduction and development;• Build public engagement in decision making;• Prevent costly mistakes by alerting decision-makers to potentially unsustainable development options at an early stage in the decision-making process;• Speed up implementation of projects and programmes;• Facilitate co-operation around shared environmental resources and contribute to conflict prevention.